About AEM Air Intakes for Hyundai : For years AEM has been at the forefront of the Hyundai aftermarket scene, making quality air intake systems for Hyundai vehicles. AEM Hyundai air intake systems offer increases in both horsepower and torque, as well as offer improvements in engine efficiency and fuel economy. Each AEM Hyundai air intake system is designed vehicle specific, meaning it will bolt right into your Hyundai , requiring no additional modifications or parts. You can install an AEM air intake system onto an Hyundai that has never been modified without needing to do anything else. AEM Hyundai Air Intake Systems also will NOT void your Hyundai warranty when installed correctly. 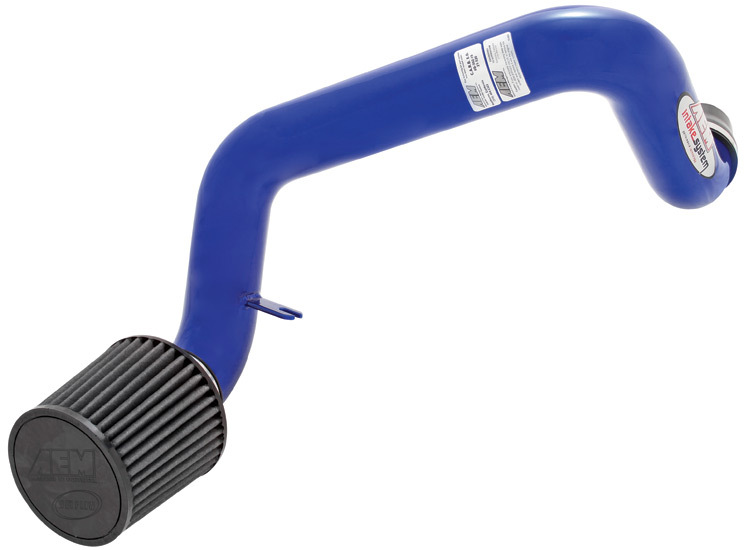 Now that you know the facts about our AEM air intake systems, isn't it time to bring your Hyundai up to its potential? If you're not using an AEM intake, your Hyundai may be moving, but it could be moving faster. The part number for this item is 21-520 and it fits 1997-2001 Hyundai Tiburon 2.0 models. This AEM Intake is available in the following finishes: Mirror Polish, Powder Coat Blue, Powder Coat Red, Powder Coat Silver.